Drama & Musical featuring The Central Baptist Choir, Drama Team & Kid’s Central. 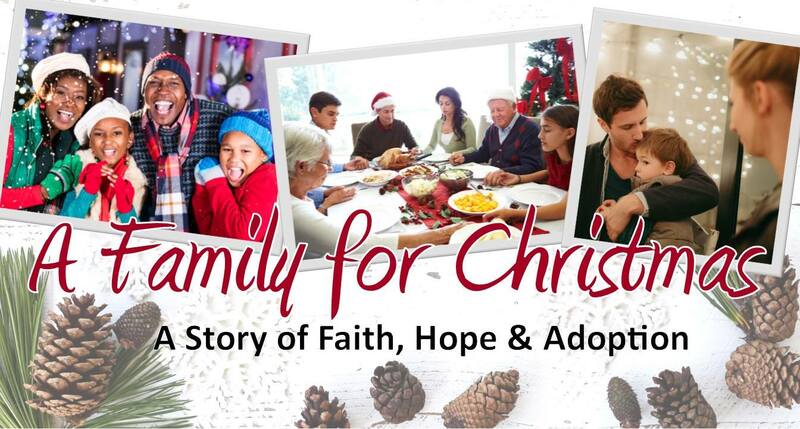 A Family for Christmas tells the story of Chester, a boy who all he wants for Christmas is a family. Through this story, we see the miracle of adoption in Chester’s life as well as seeing spiritual adoption as God brings one into His family. Presented Saturday, December 15th at 7pm and Sunday, December 16th at 10am. We will be collecting Items for Falcon Children’s Home: Toilet Tissue, Trash Bags, Copy Paper, Body Wash, Ethnic Hair Products, Alcohol Swabs, Can & Bottle Soft Drinks, Bicycles, Helmets, Computers. Drop off items at A Family for Christmas! Sophia’s Wish is an adoption fund where 100% of the contributions provide financial grants to those going through the process of adoption. The Take 5 Challenge is an offering that will be received at A Family for Christmas collected for Sophia’s Wish where giving $5 helps bring a child into a family!